Provide comfort for the family of William Schott with a meaningful gesture of sympathy. William H. Schott, Sr., 71, husband of Barbara M. Schott, died Sunday, January 20, 2019 at Hartford Hospital after a brief illness. He was the son of the late Clifford and Helen (Panciera) Schott of Meriden. Bill was a lifelong resident of Meriden, graduating from Maloney High School in 1965. He served in the United States Navy, Submarine Service, during the Vietnam War. He returned home and was employed by Pratt & Whitney Aircraft for many years and retiring from Yale University at the end of his career in 2014. Bill was a lifelong hunter and fisherman as well as a sports enthusiast, traveling to his grandchildren’s different sporting events around the state. At softball games, he could always be found leaning on the fence in the outfield. 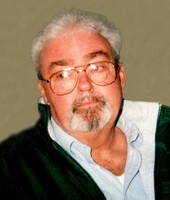 Besides his loving wife of 53 years, Bill is survived by his son, Bill Jr. and his wife Paula of Meriden; his daughter, Bobbi-Ann Vandal and her husband Tom of West Melbourne, Florida; and his three grandchildren, Chelsea Schott of Meriden and Mallory and Christopher Vandal of West Melbourne, Florida. He also leaves behind his brother and sister-in-law, Carol and Bill Bundock of Meriden, several nieces, nephews and numerous cousins as well as two special granddogs, Bella and Zoey. Besides his parents, he was predeceased by his sisters-in-law, Patty Randklev and Judy Slomkowski and his brother-in-law, Walt Slomkowski. Family and friends may call at the John J. Ferry & Sons Funeral Home, 88 East Main St., Meriden, CT 06450 on Saturday, January 26, 2019 from 3 to 6 p.m. Burial will be at the convenience of the family. For online condolences, please visit jferryfh.com. To plant a memorial tree in honor of William Harold Schott Sr., please visit our Heartfelt Sympathies Store. 0 trees have been planted in memory of William Harold Schott Sr.